While graduating from university is a proud and exciting experience, it can also be quite fearful. According to a study done in 2012, 71% of college graduates had student debt, while 66% of those graduates had an average student debt of $25,550. With accruing interest and loans hanging over graduates’ heads, the first concern on graduates’ minds is finding employment. The job hunt begins and graduates seek to find a job with a salary that could pay off student loans. There are, however, cities that particularly attract college graduates. We’ve rounded up the top cities in the U.S. that recruit college grads! Based on the Trulia Grad Index, Pittsburgh ranks remarkably high for affordability of housing. Having many different entry-level jobs for college graduates, Pittsburgh makes an obvious top pick for recent grads. College graduates sometimes seek to move to areas with the top salaries or minimum wage (as in California). Unfortunately, these areas usually have the highest cost of living which it makes it less ideal for college graduates. Living in Pittsburgh, however, offers the entertainment and food of the East Coast, while still offering lowered housing costs. Denver is ideal for recent college graduates. Both large and small companies are rapidly growing in Denver. Grads will love the easy transit, for Denver is not too crowded. For sports enthusiasts, the professional teams will draw interest and entertainment to college graduates. Don’t forget about the numerous outdoor adventures and natural beauty that are resident in Colorado. San Francisco stands as one of the most iconic cities in the U.S. Full of life and diversity, this city offers much to college graduates. With Silicon Valley present, San Francisco draws many recent grads to tech jobs and the high-paying job opportunities. Starting salaries are significantly higher in San Francisco than in many other areas. However, accompanied with high salaries is an incredibly high cost of living. 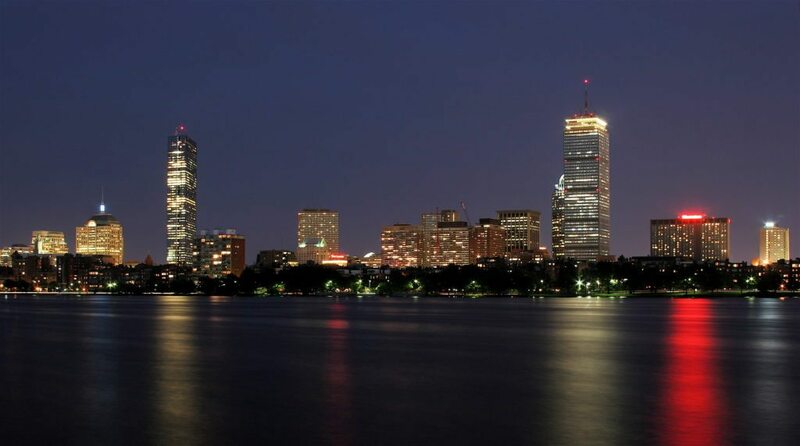 Booming with young professionals, Boston is an excellent option for college graduates. 24.8% of Boston’s residents range from 20-29. The successful universities in Boston harbor a successful economy and increased population of educated residents. Again, the cost of living is higher in this big city, but the professional job opportunities make Boston a competitive location for college graduates. College graduates particularly enjoy Seattle. For an area with a perfect city scene and a close proximity to the mountains, Seattle is matchless. Nightlife is exciting in Seattle, while the many hikes and trails allow for an escape into nature. There are many entry-level jobs and opportunities in Seattle. College graduates love this younger area. A city that continues to grow and adapt, Cincinnati is uniquely suited for college graduates. The top 5 industries in Cincinnati include: information technology, training, engineering, accounting, and marketing. For college graduates in these fields, Cincinnati makes an excellent location. New York City attracts many college graduates. The landscape, the city scene, the large companies- all draw young professionals. There are parts of New York City that are less glamorous than Manhattan. These underprivileged neighborhoods recruit incredible teachers who undertake positions in the lower-income schools. To incentivize teachers to teach in the underprivileged areas the Teachers of Tomorrow program was created. Educators in this program receive rewards that assist in paying off student loans. A hub for young professionals and postgraduate students, Dallas recruits heavily from college graduates. With many management consulting, accounting, public relations, and marketing firms, the need for educated and skilled individuals in those fields is high. Family friendly, Dallas residents also enjoy a housing market that is affordable and growing. For renters, the cost of living is comparatively low. With professional sports teams, an exciting city life, and a nearness to lakes and nature, younger people love Dallas. Baltimore is pioneering an innovative way to help college students graduate and then stay within Baltimore. Lumina, a foundation with this very charge, partnered with Baltimore to initiate “Goal 2025”. This goal tries to have 60% of Americans hold college degrees. This in turn has created graduates and entry-level jobs in Maryland as more students complete their college education. Houston attracts college graduates with it’s growing economy and job opportunities. The cost of living is significantly lower than other cities. Houston residents love the walkability and accessible transportation of the city. Homes are affordable to purchase which college graduates are increasingly choosing. Full of events, entertainment, and nightlife, Houston suits many recent graduates.